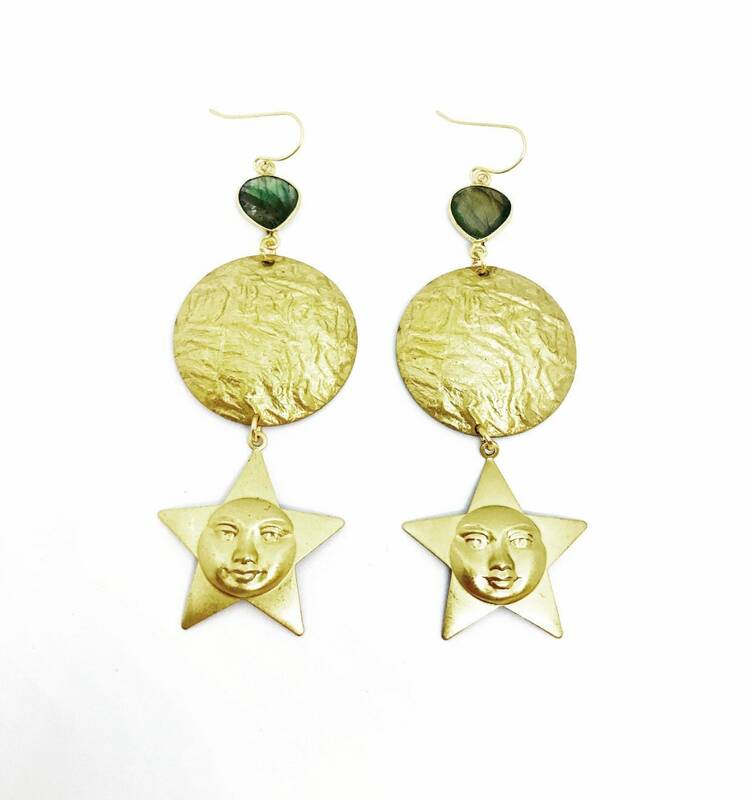 The Woman in the Moon Earrings are perfect for the celestial goddess. They feature all vintage brass components. 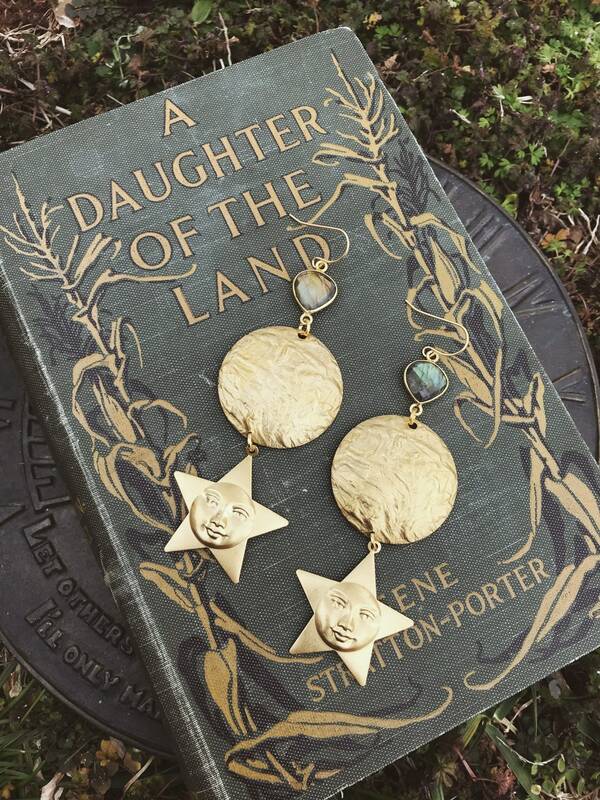 The earrings also feature labradorite, which is said to increase intuition and promote clairvoyance. 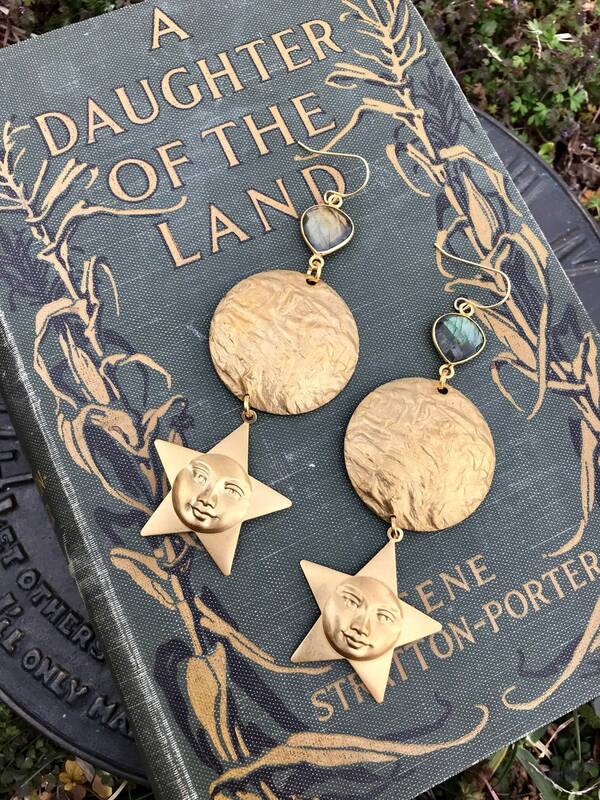 The earrings measure 3.5 inches long and are very lightweight. 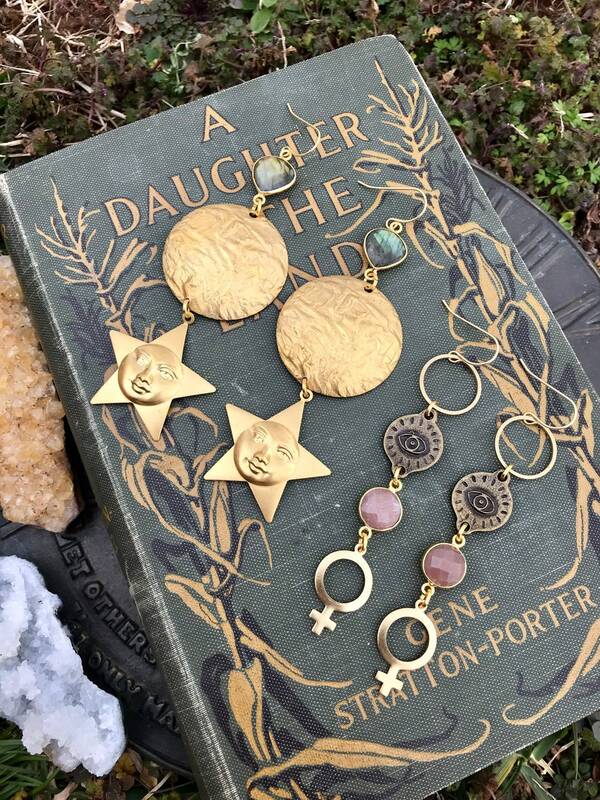 Ear hooks are nickel free and gold plated.